Get in touch with an experienced, trained and professional San Jose, CA, garbage disposal expert at Genmor Plumbing, Inc. when you call (408) 933-9874. Click here to see our online coupons and specials currently on offer. Find out what experiences our other San Jose, CA clientele have had with Genmor Plumbing, Inc. for their garbage disposal repairs and replacements by clicking here. What Is The Purpose Of Installing or Replacing A Garbage Disposal In Your Home? A garbage disposal system is a great way to make your cooking and clean up time simpler and save you time. By quickly and easily disposing of your food waste down the drain, a garbage disposal also helps prevent bacteria growth within your kitchen. This keeps your kitchen and home smelling fresh. While garbage disposals tend to last a number of years, they will eventually require replacing. Having your garbage disposal replaced and installed by an experienced professional from Genmor Plumbing, Inc. will ensure that it is done right, with your satisfaction guaranteed. Why Should I Replace My Garbage Disposal Unit? Many of us are used to having a garbage disposal unit in our kitchen. If your garbage disposal unit breaks down, you will no doubt feel the loss. The convenience and cleanliness that it provides will likely be missed very quickly. If your garbage disposal ceases to work, an experienced San Jose professional from Genmor Plumbing, Inc. can show you the latest models available for its replacement. Garbage disposal technology continues to advance and we can help you make the right choice to suit your needs and your budget. Can I Replace My Garbage Disposal Unit Myself? The nature of the pulverizing mechanisms that garbage disposal units are made with can be dangerous to dismantle. Therefore, it is best to call a Genmor Plumbing, Inc. professional for safe removal of the old garbage disposal unit and proper installation of the new one. Garbage disposals have safety features in place to keep you from getting hurt during use. However, having to dismantle a garbage disposal during replacement puts you at greater risk for injury. These units are intended for professional installation by trained experts to ensure safety and proper working order. 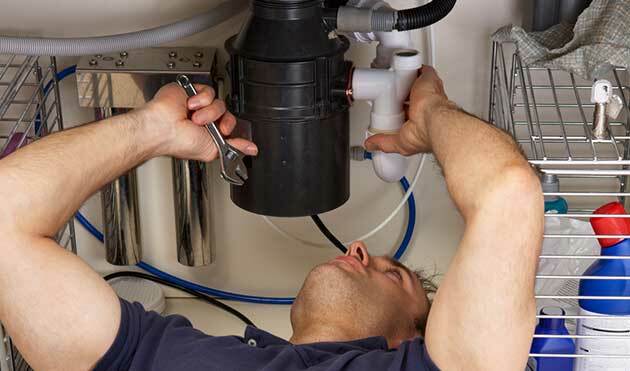 You will have greater peace of mind knowing that your garbage disposal system has been replaced and installed safely. Is your current garbage disposal failing to work efficiently? Common problems include leaks, jams, and clogs. In some cases we will be able to repair the issue and get your unit working like new again. However, if we determine that it will be more cost effective to replace your unit, we will help you choose a more efficient replacement and install it for you. To avoid recurring problems with your garbage disposal, it is important to maintain it on a regular basis. We are happy to help repair your unit, but we would be even happier knowing that your device is working efficiently. Flush cold water down the drain once a week. This will help clear out any small bits of food and keep your garbage disposal free from problems with food buildup. Grind ice cubes through the disposal to give the device a good clean and to keep the blades sharp. Put lemon slices down the drain and grind as warm water (not hot) is flushed down. This will help alleviate foul odors coming from the drain. Avoid putting these items down the drain: eggshells, bones, fibrous or starchy foods, and coffee grounds. These can quickly clog the drain as well as tangle in the disposal’s blades. If you encounter an issue with your garbage disposal, avoid potential injury and further problems by giving our team a call. We will provide you with the best solution and get your kitchen running smoothly in no time. Give Genmor Plumbing, Inc. a call today at (408) 933-9874 and speak with one of our San Jose, CA garbage disposal repair and replacement professionals. We will provide you with a free estimate and help you make the right choice for your garbage disposal needs. All work backed by our 100% satisfaction guarantee.